We’ve just taken delivery of a set of light up LOVE letters. 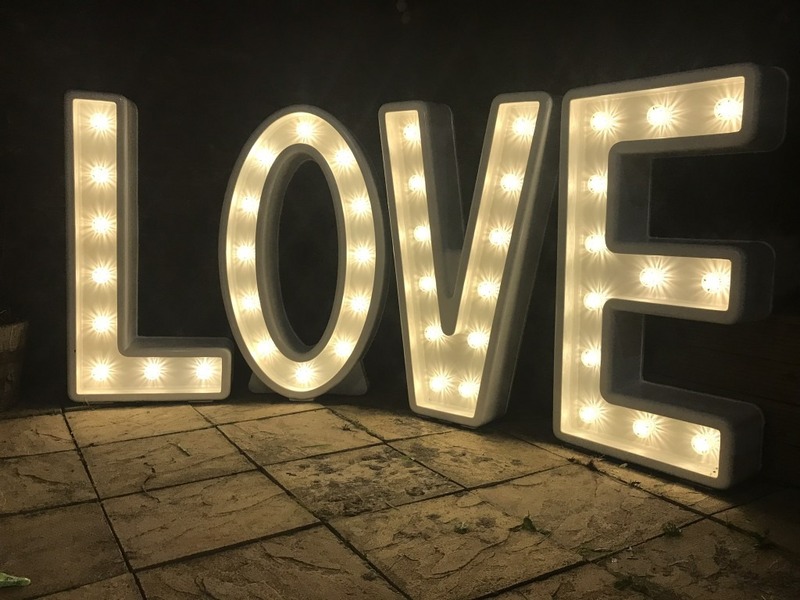 Popular with weddings the world over these letters add a real statement to your big day and are available for a full day or for the evening. As with all our products the letters are customisable and although shown with white the colours of the bulbs can be changed where required. If you book your wedding disco with us we offer a special discount rate on the letters. Contact us today to find out more. 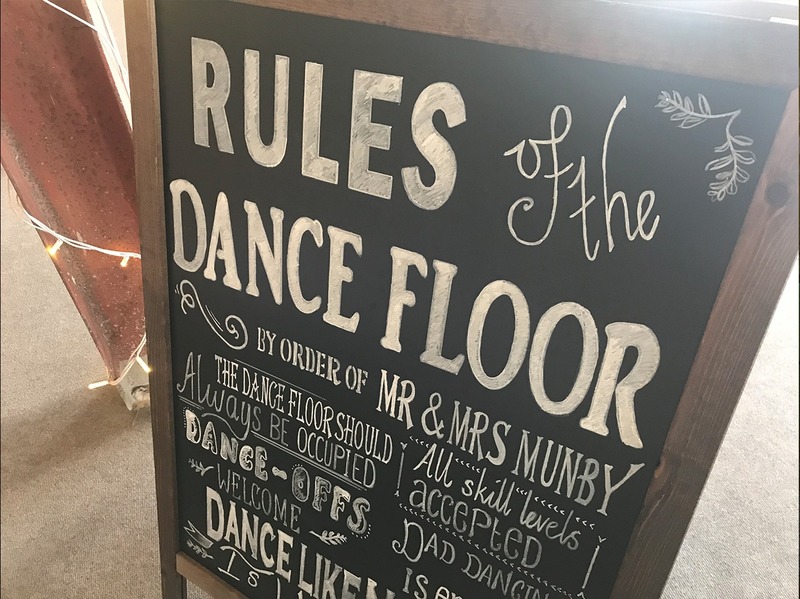 Two year ago at a wedding fair at Carlton Towers we met Sam and Rob who asked us if we’d be interested in providing entertainment at their barn wedding. A few weeks later and we went to visit the farm near Driffield where the wedding was to take place. The barn that the couple had chosen was on Sam’s family farm and was nothing but an empty shed! Two years later and the couple have transformed the barn into an amazing wedding venue. 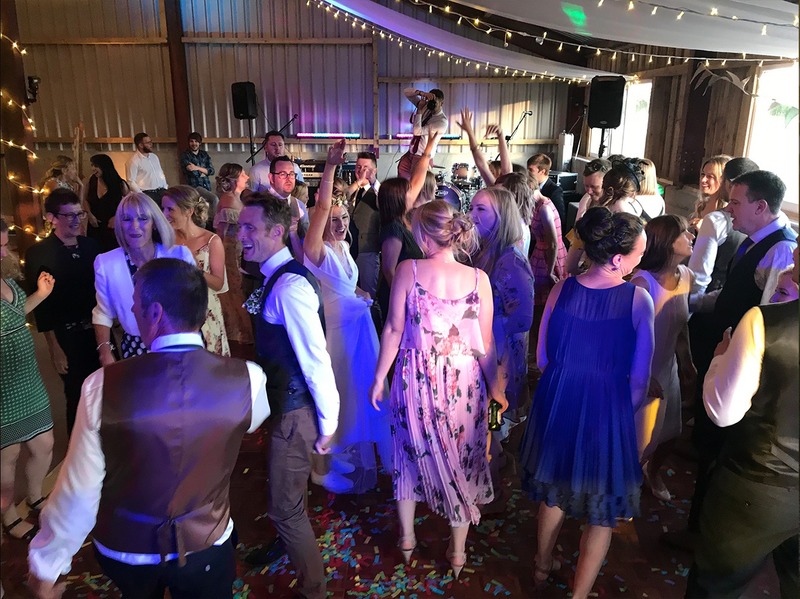 We provided an all day entertainment package including music during the wedding breakfast, PA and microphones for speeches and disco for the evening entertainment alongside the excellent band Friday Street. 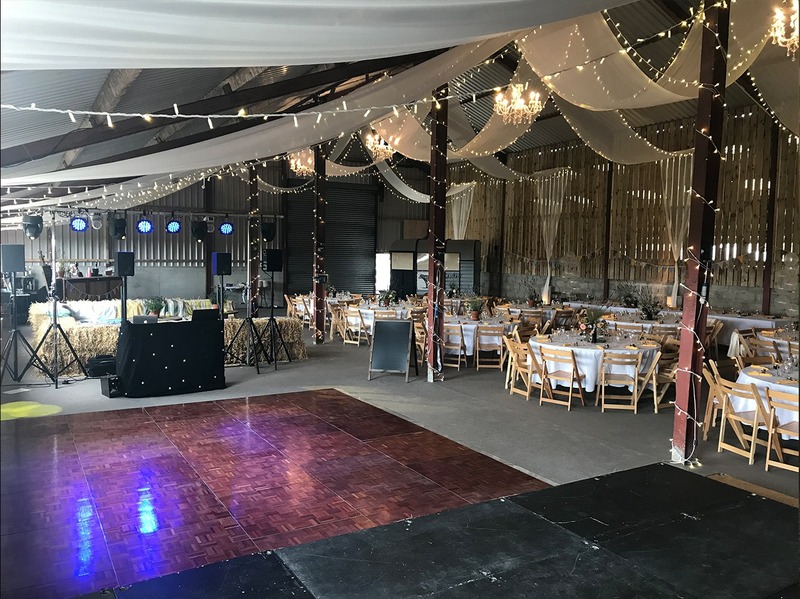 We installed a five meter wide lighting gantry along one side of the dance floor which really helped to create the party atmosphere later in the evening… and early morning! 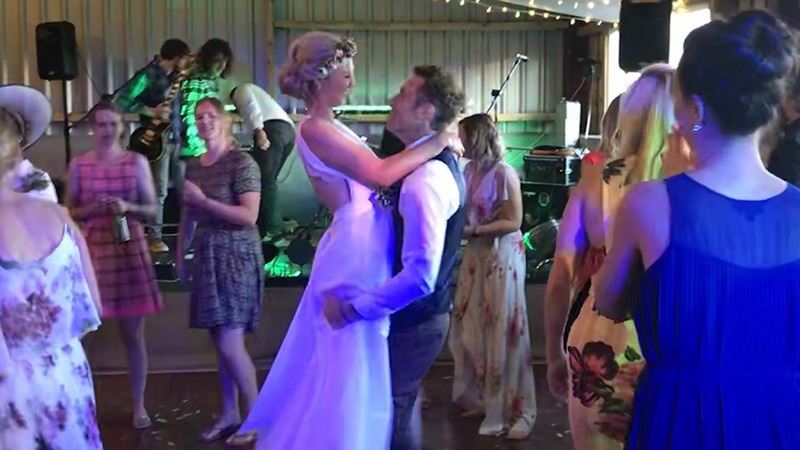 Sam and Rob provided an extensive playlist for the wedding breakfast and suggestions for the evening music and of course there were many requests on the night including Rob’s request for 90s house music set which we gladly obliged with!